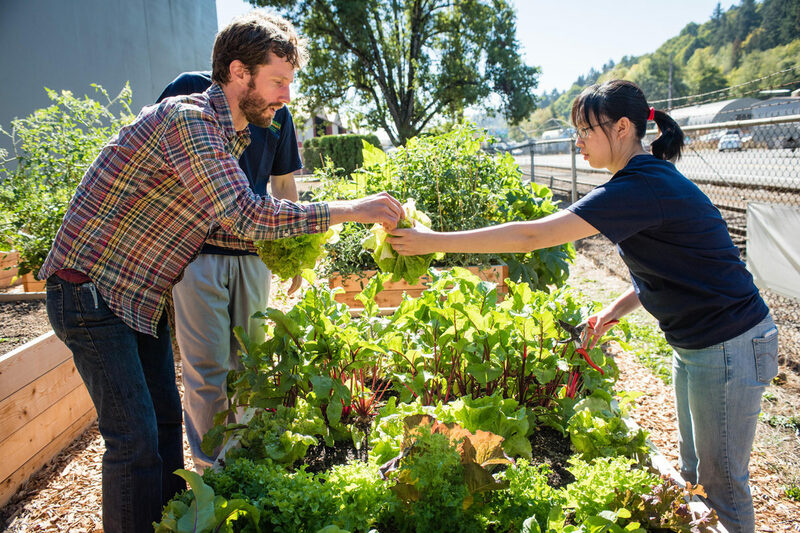 These 12 businesses are among many nationwide ready to turn sterile, water- and chemical-intensive lawns into food forests. 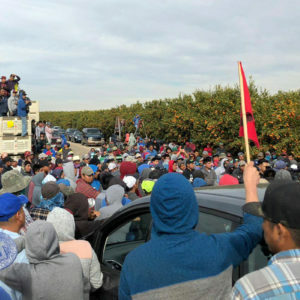 He likens the trend to that of the Victory Gardens during World War II, which grew an estimated 40 percent of produce consumed in the United States. Today, America grows less than half of its own fruit and just over two-thirds of its fresh vegetables. But home gardening is becoming more popular, with a 2014 study showing that one-third of Americans currently grow food at home, an increase of 17 percent from 2008. “I see it continuing as long as things continue to be unpredictable,” Meyer says. 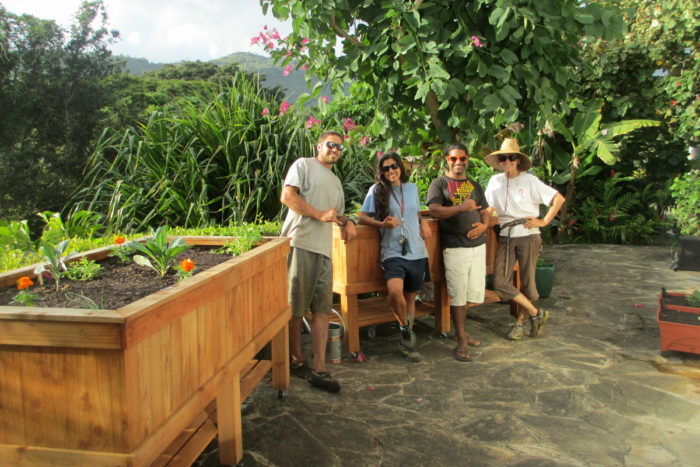 The team from Foodscapes Hawaii after installing a new garden in Manoa Valley, Honolulu. They designed and built the raised redwood planters and planted a variety of edibles in their custom organic soil mix. Top photo courtesy of Portland Edible Gardens; photo © Shawn Linehan. This article was updated to correct the spelling of Mat Roman’s name, and the area that Urban Plantations serves. Have you worked with an unlawning company or service that’s not on this list? Let us know in the comments below? We have started a Community group called ReWild in Port Washington, NY, with the aim of turning our lawns into pollinator and bird friendly spaces. Some people prefer edible plants, others would like dyes for artwork and yet others to feed the bees and birds. In any case, a concerted alternative to the lawn will require a lot more thought and collaboration between the landscaping industry, the town and environmentally minded residents. Keep up the good work, Civil Eats! Creating beautiful edible gardens in the Chicago area! 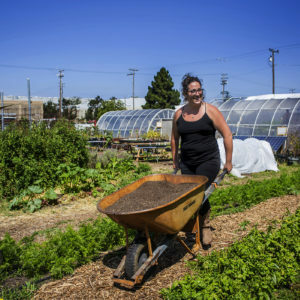 In Alaska, where food security is an issue, there are projects around the state focused on edible gardens. 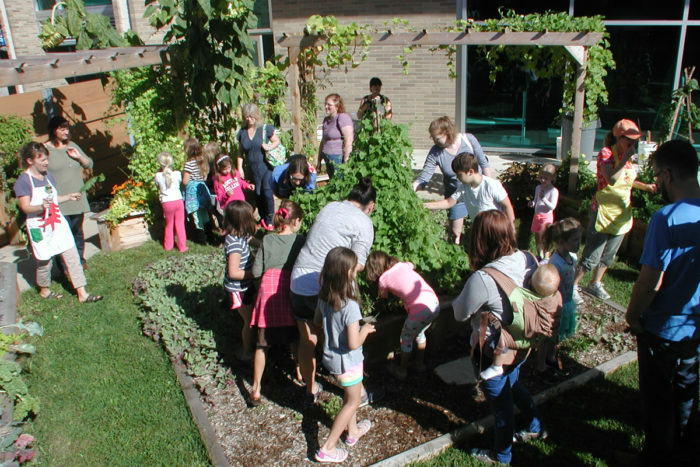 Check out Grow Palmer (in Palmer, Alaska) where the active group has for five years now turned city gardens into edible gardens for the community, and is adding more every year. 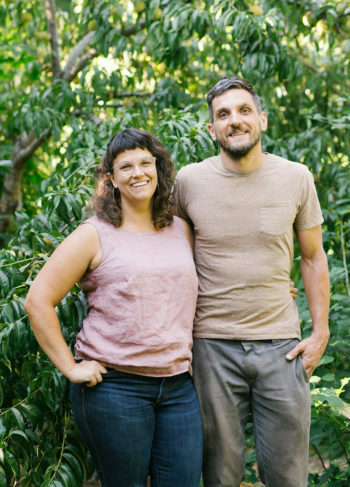 Talkeetna, Alaska is also working on a similar project, and several others around the state - including hoop farming in northern parts of Alaska, where we never would have thought we could grow produce! At our facility near Talkeetna (we make birch syrup from wild birch trees and products from wild berries and local fruits) we plant our gardens with a combination of edible flowers and vegetables - and we plan to expand our gardens this spring to include fruit trees and berries. I live in Nashville, TN and there is a company here that does this, I think they are called "Foodscapes". Thrilled to see this movement, hope it grows! I love this so much! But live in the UK and am not aware of any edible garden design firms here. Your international digital audience would love info too! We are a nursery and garden installation business that specializes in edible landscaping. This is so awesome! Food forest the world! Winslow Food Forest is my farm and we also do edible landscaping and food forest design! I truly enjoyed reading this article! In 2005, I turned my entire Massachusetts suburban front yard of lawn into an edible landscape. My neighbors thought I had lost my mind and our local newspaper even made mention of it! I grew the most amazing produce and sold it to those same neighbors on the honor system. 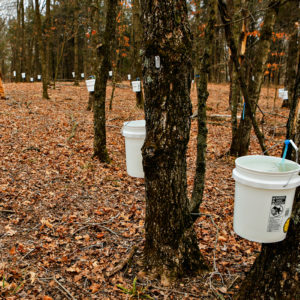 I have since moved from that home and own/operate a certified organic farm with my husband in central Maine. Thank you for promoting edible landscapes! They enhance health on every level -- spirit, mind and body!